Applications are invited for Commonwealth Split-site Scholarship available for the citizens of developing commonwealth countries. Scholarships are available for pursuing Split-site (PhD) (where the CSC supports one year’s study at a UK university as part of a PhD being undertaken in applicant’s home country) studies at UK universities. Commonwealth Split-site (PhD) Scholarships support up to 12 months’ study at an eligible UK university as part of a PhD being undertaken in your home country. 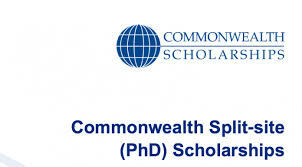 You can apply for a Commonwealth Split-site (PhD) Scholarship to support up to 12 months’ study at an eligible UK university as part of a PhD being undertaken in your home country, under the joint supervision of home country and UK academics. You should apply to study at a UK university with which the CSC has a part funding agreement. Part funding agreements are at the discretion of individual universities. You must make your application directly to the CSC using the CSC’s Electronic Application System (EAS). You are not required to apply via a nominating body for these scholarships.